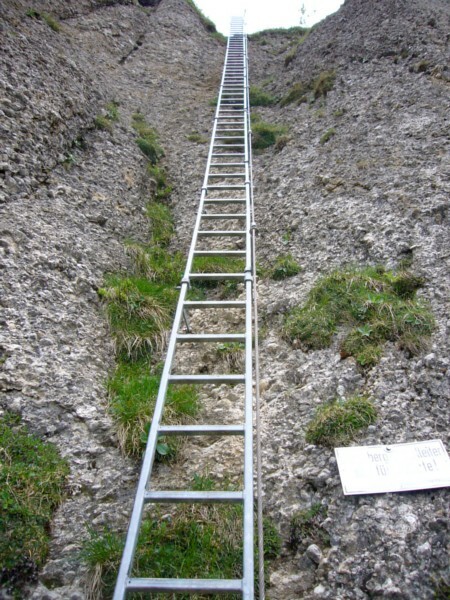 A ladder is a vertical or inclined set of steps. There are two types: rigid ladders that can be leaned against a vertical surface such as a wall, and rope ladders that are hung from the top. Rigid ladders are usually portable, but some types are permanently fixed to buildings.